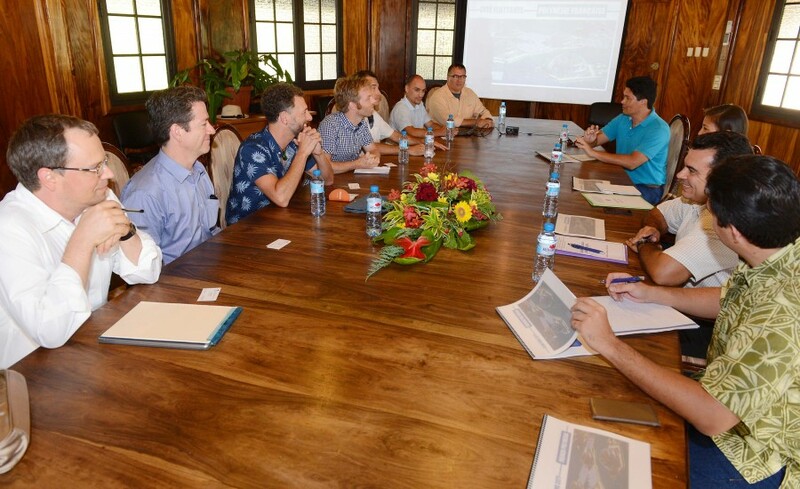 An international team of seasteading delegates travelled to Tahiti where they had the opportunity to meet with the Polynesian President Édouard Fritch and several other government officials. There they formally presented a proposal for a seastead in the waters surrounding the Pacific Island. Blue21 co-founder Bart Roeffen was one of the nine team members who travelled to Tahiti to share his ideas on realizing sustainable floating islands in French Polynesia. The Seasteading Institute wrote a blog on this extraordinary trip.